Green Beret Col. Nick Rowe (now deceased) was the man who originated and instituted the army's exceptional Survival, Evasion, Resistance, Escape (SERE) program. 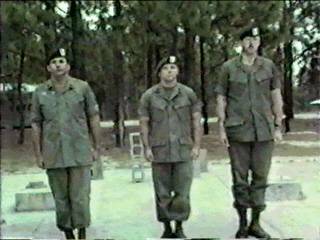 This instructor training qualification program was based on Col. Nick Rowe's five years of tortuous captivity and subsequent courageous escape from Vietnam. Col. Rowe was one of only 28 P.O.W.S. who escaped out of over 1,000 servicemen who were captured. 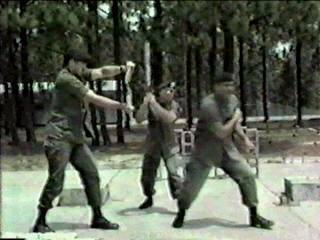 Col. Rowe could have contracted any martial artist in the world to be the instructor who would teach the instructors of the SERE instructor qualification course. He selected Kun Tao Master Guy Savelli, a civilian, to accomplish this task, because Col. Rowe wanted a master who not only knew Dim Mak, but could teach it. He wanted a master who could teach not only exceptional physical, lethal, movements, but also a true master of the art who could teach the mental and spiritual aspects of attacking the enemy's mind as well as teaching his men a healing method that would enable them to reach further into themselves to accomplish more than they ever could normally. Master Savelli's expertise also included teaching SERE instructors how to minimize the physical and mental torture they may endure, as well as how to efficiently escape when bound hand and foot, and how to subdue attacking animals when on the run after escaping the enemy. Over a seven - year period of consistent army special forces contracts, Master Savelli taught and traveled internationally. Seals, Rangers, Marine and Air Force recon, and other personnel had the opportunity to learn these unique fighting concepts. While portions of this special SERE training are still classified as secret, here for the first time available to you are some excerpts of the original SERE training video authorized by Col. Rowe. If you want to order this whole original, one of a kind, very enlightening video as it was filmed; you can order by Visa or Mastercard (no debit cards, please), by e-mailing your card number and expiration date to savelli@worldkungfu.com, or by sending a money order to Guy Savelli P.O. box 708 Willoughby, OH 44096. Your total cost of $119.95 includes postage and handling for customers in the USA and Canada only. The total cost for all other countries is $139.95. Col. Rowe authorized contract #DAKF40-85-M-3933 on 85 Apr 23, Purchase Number SWC 631-85, Master Savelli's first contract. The following videos require RealPlayer G2, which can be downloaded free of charge from RealNetworks.